SkyMax Aerotech Opening Louvred Roof System was specified and installed for this recently constructed home located in the heart of the leafy North Shore suburb of Northbridge. 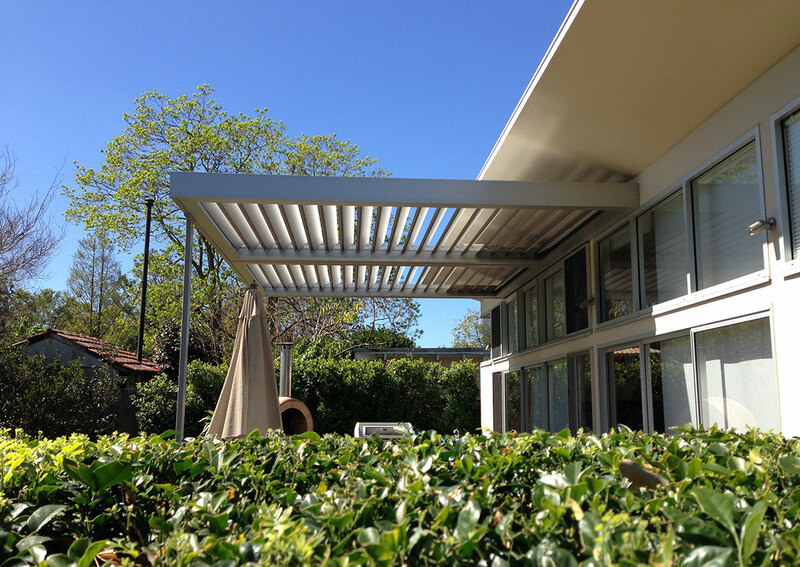 The brief was simple – the space needed to offer year-round protection from the sun, rain & light penetration for this north facing deck area. The client really did not want to enclose this space with any heavy elements. The Aerotech Opening Louvred Roof utilises the latest in manufacturing technology to provide the ultimate in automated sun and rain protection for this north facing deck area. Satisfied with the system and support provided the client engaged SkyMax to install another system on their holiday home in Palm Beach, NSW.